Happy Birthday, YouVersion—We’re 4 Years Old! A Simple Idea. 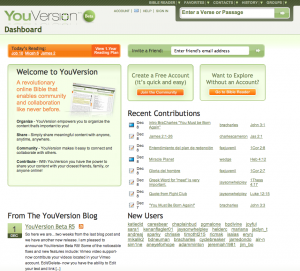 In June of 2007, the concept of YouVersion was first introduced to the world: A free, online Bible that would allow anyone with Internet access to link rich media (like video, audio, images, text, and more) to passages in the Bible. It would retain the sanctity of the Scriptures, but you’d also be able personalize your interaction and experience with them. 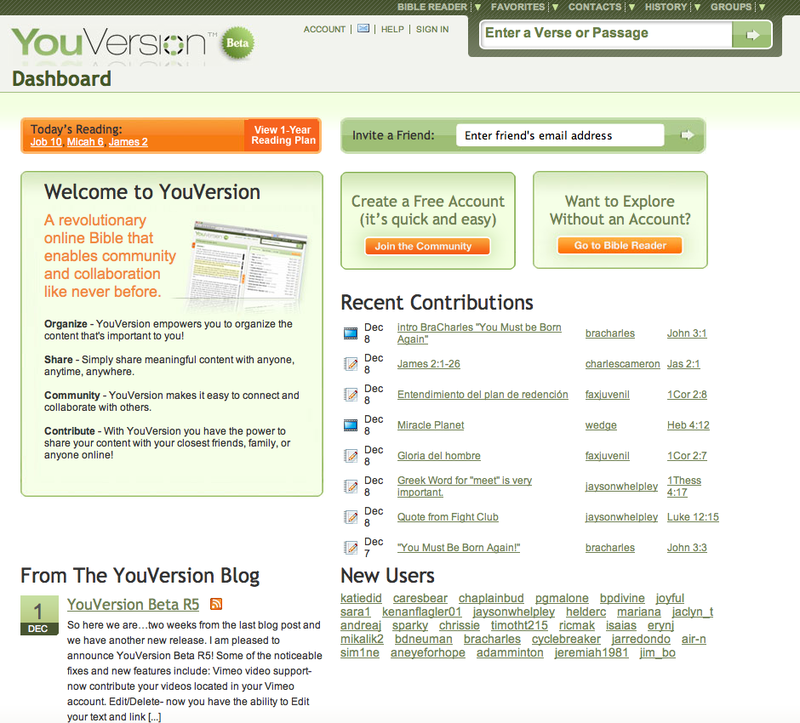 Three months later, on September 27, the YouVersion.com Beta officially launched, marking the beginning of what has so far been an incredible four-year journey. Throughout that time, our goal has been helping people deeply connect with God’s Word. YouVersion Goes Mobile. In April of 2008, we announced our first mobile version. While that event was significant, we couldn’t have predicted what was about to happen. A vibrant YouVersion community gathered suddenly around the mobile version, and together we discovered how transforming it was to have the Bible with us everywhere we went, all the time. We read the Bible more, referred to it more, and started sharing God’s wisdom with our friends more than ever before. A Revolution Begins. Just three months later, in July, we announced the first version of the Bible App™ for iPhone with a simple video. In just 24 hours, early adopters spent almost 200,000 minutes using the Bible App on their iPhones, propelling it into the top 50 apps on iTunes. It was official: this was the beginning of a revolution in engaging with God’s Word. And Now Here We Are. Today, with the Bible App installed on nearly 30 million unique devices, the YouVersion community is literally worldwide. Generous Bible publishing partners provide us with 152 translations in 45 languages. More than 190 Bible reading plans help us breathe in God’s Word every day, reading and listening. Things we could only imagine doing on mobile devices four years ago, the Bible App lets us do easily now: Bookmarking, Notes, sharing on social media sites, sharing through email or text messages… and more. And this is only the beginning. We’re committed to continuing to use the best of today’s and tomorrow’s technology to help the world fall in love with God’s Word. When you use the Bible App to uncover God’s story of love, and when you share that journey of discovery with your friends, you’re a key part of that global YouVersion community. Thank you for all you’ve done!